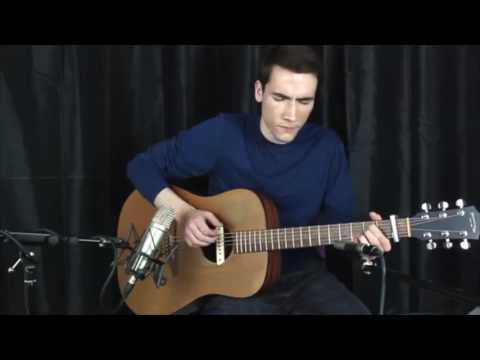 This young guitarist has been living and breathing music since his early teens. He went on to gain a first-class degree at one of Europe’s finest contemporary music schools, The Institute Of Contemporary Performance. As well as live performances at the Royal Albert Hall, Shepherd’s Bush Empire and Indigo O2 Richard’s guitar playing has been broadcast on Channel 4 and BBC Radio 2. His main work involves him playing tranquil and classy sets of classical pieces and well known modern numbers at a variety of events. Richard is happy to adapt a setlist to the mood of the function. 1 x 30-45 minute set of background solo acoustic guitar music incorporating Jazz, Classical and Easy-Listening music or a performance based setlist incorporating concert pieces. This package is suited for a wide range of events but most commonly is used for a drinks reception. I can provide my own PA and will arrive 1 hour before the event to set up. It should be noted that a setlist can be tailored to the event. 1 hr or 2 x 30 minute set of background solo acoustic guitar music incorporating Jazz, Classical, Contemporary and Easy-Listening music. This package is suited for a corporate function, themed event or a dinner party. I can provide my own PA and will arrive 1 hour before the event to set up. It should be noted that a setlist can be tailored to the event. 2 x 1 hr sets of background solo acoustic guitar music incorporating Jazz, Classical, Folk, Contemporary and Easy-Listening music. This package is suited for a corporate function, themed event or a dinner party. I can provide my own PA and will arrive 1 hour before the event to set up. It should be noted that a setlist can be tailored to the event. A 1 hr set of background solo acoustic guitar music incorporating Jazz, Contemporary, Classical, Folk and Easy-Listening music. This package can be played at the wedding’s reception, meal or any other appropriate time. I can provide my own PA and will arrive 1 hour before the event to set up. It should be noted that a setlist can be tailored to the event. A 2 hr set of background solo acoustic guitar music incorporating Jazz, Contemporary, Classical, Folk and Easy-Listening music. This package can be played at the wedding’s reception, meal or any other appropriate time. I can provide my own PA and will arrive 1 hour before the event to set up. It should be noted that a setlist can be tailored to the event. A 2 hr set of background solo acoustic guitar music incorporating Jazz, Contemporary, Classical, Folk and Easy-Listening music. This package can be played at the wedding’s reception, meal or any other appropriate time. This package also includes a song of your choice to be arranged for solo (instrumental) acoustic guitar while the bride/groom walks down the aisle. I can provide my own PA and will arrive 1 hour before the event to set up. It should be noted that a setlist can be tailored to the event.